With heavy international emphasis on energy efficiency and environmental awareness now reaching all time highs, alternatives to traditional forms of wasteful energy reliant technologies have begun to rise to the forefront of today’s marketplaces. Although almost every type of device that relies on electrical power for operation is a candidate for improvements in energy efficiency, a select few have gained the lion’s share of attention due in large part to how deeply they pervade societies around the globe and how reliant we have become upon them. Of these technologies, lighting represents one of the largest and most prominent areas where even minute changes can have a noticeable impact even at the basic residential level. Lighting has become closely intertwined with energy efficiency and environmental awareness over the last decade. Prior to that, although most people were well aware “turning off the lights” saved energy, the relatively small power requirements of a single incandescent light bulb made it easy to dismiss lighting as an area where few savings were to be found. Once a closer look was taken at how significantly lighting affected overall energy consumption in the home as well as the workplace however, it didn’t take long for people to realize just what an energy hog incandescent lighting really was. Looked at on a national and even global level, the portion of energy consumed by lighting alone becomes even more alarming. In the average US home for instance, lighting accounts for up to 20% of the electrical energy used. On a national level, the amount of energy used by lighting represents up to 25% of the total electricity generated in the U.S. Clearly, there is a great deal of room for improvement. In the quest for energy efficient light sources a variety of approaches have been undertaken with varying degrees of success. Initially, researchers and developers for various industry giants such as General Electric and Philips sought to improve upon existing technologies such as incandescent and fluorescent luminaries. This led to some interesting developments with varying degrees of effectiveness, most notable of which is the compact fluorescent bulb. The compact fluorescent light, or CFL for short, is at the basic level a small fluorescent lamp that has been twisted into a coil shape to make it more easily adapted to traditional light fixtures. Early versions of the CFL were plagued with issues, the most important of which were the need for a ballast, poor light color, slow warm up times, and a high mercury content. All of these problems served to slow acceptance of the CFL and despite most of the problems having been addressed, the CFL still remains a less than robust design that has met with a tepid reception in the marketplace. CFLs also have the added disadvantage of poor versatility, being impractical for applications requiring high intensity and tightly focused output as found in spotlighting and similar applications. At their current level of development, CFLs have proven more efficient and longer lived than the incandescent bulb, but their inability to provide instant full power output, sensitivity to frequent on/off cycling and cold weather, limited versatility, and continued reliance on toxic mercury has dampened consumer enthusiasm. The newest and most well regarded entrance into the lighting markets has been the LED. LEDs represent an entirely new way of producing illumination that bears very little resemblance to traditional forms of lighting. With LEDs, nothing is burned, there are no gases and no glass, and the energy to light conversion rate is much much higher. The energy to light conversion rate is so much higher in fact, that LEDs now produce on the order of 80% more light per watt than the incandescent bulb. LEDs require no warm up period, reach full power instantly, can be cycled on and off with no change in performance or longevity, their output is natively intense and well focused, and they are unaffected by cold temperatures. Since LEDs produce light by passing electrical energy through semi-conducting materials, there is no wire filament to break or burn out and there is no need to utilize gases or toxic materials as output and longevity enhancing agents. Early LEDs did tend to produce a bluish colored light that was often considered too “cold” for use in general illumination applications, but developers have now begun adding phosphor coatings and utilizing new semi conducting materials to alter the color temperature of LEDs to help them produce light output that is “warmer” and similar to the slightly yellow light from incandescent bulbs the public has grown accustomed to. All of this has led to the LED becoming considered the defacto alternative lighting technology of the future, and already they are taking up a fast growing portion of the lighting markets once dominated by incandescent and fluorescent lamps. 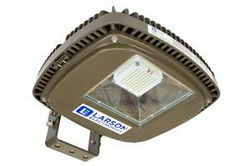 They can be tailored to almost any application requiring visible light, can be configured to produce infrared, ultraviolet, and colored light, and are so small that in many cases the overall size of a typical light fixture can be greatly reduced as well as redesigned to provide a better aesthetic appearance and less obtrusive installation options. The biggest drawback to LEDs is currently their higher costs. An LED bulb designed to replace an incandescent of similar light output typically costs about 8 to 10 times as much. This higher cost has served to slow acceptance of the LED, but as cost mitigating factors become more well known, this reluctance is beginning to dissipate. Although the LED costs more, its operational costs are far lower and it lasts oftentimes 50 times longer than a typical incandescent. This means that over the long term, a single LED replacement bulb will have an overall cost much lower than the incandescent as it will use far less energy and require fewer replacements. When considering an upgrade in lighting in order to improve energy efficiency and lower costs, LEDs offer the greatest bang for the buck. Regardless of whether the application is commercial, industrial, residential, or recreational, LEDs offer the ability to provide better light quality with less energy use and lower overall operating costs.